The year 2017 did not start out well for my boy in terms of school. 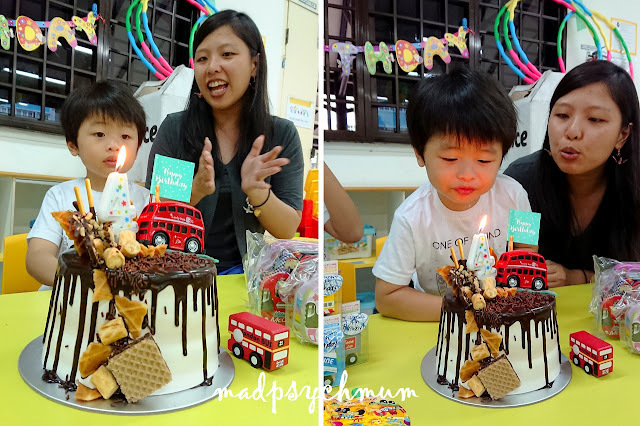 He just turned 3 on 27 December but was fully expected to behave as a 4 year old would, like the rest of his N2 class. I feel bad for him that he always needs to play catch up. However, I'm thankful to God that he has been coping very well. He was able to read a lot earlier than his sister, recognise the spelled words of numbers and spell simple words. I was amazed that with help, he was able to read a simple book by himself independently! This has really helped him to catch up with his peers in class. Nevertheless, there's still so much to celebrate and be thankful to God for. He recently started to pee in the toilet and we therefore don't have to buy as many diapers (hooray!). This year I decided to relax and engage the help of my very talented BFF from D'Cor-d to help me with the party. I really love the wooden vehicles she got! The kids loved it!! I gotta say, my BFF is really a genius in decorating cakes... Much better than me! 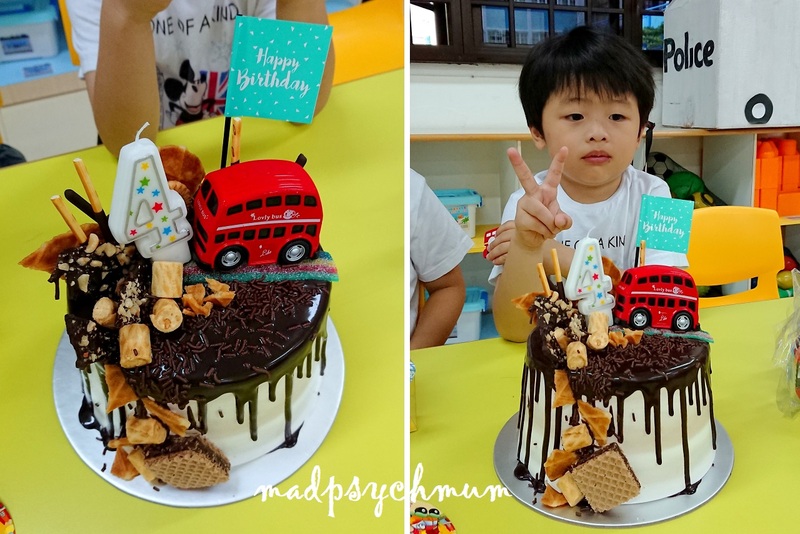 Really love the cake! So pretty! 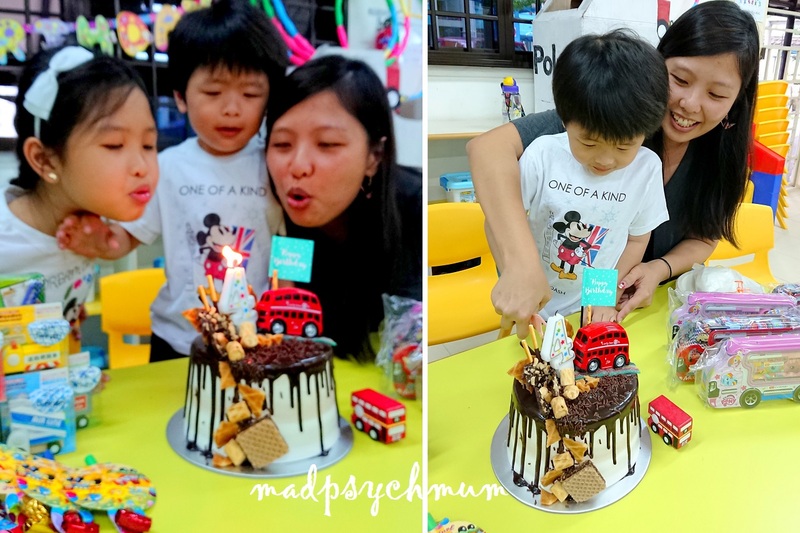 Right: Helping him to cut the cake. In case you are wondering, the kids are wearing matching customised t-shirts that the girl and I designed in London's Primark Oxford Street! After the party, we brought the kids to sit the Sentosa cable car because the boy really loves riding the cable car. 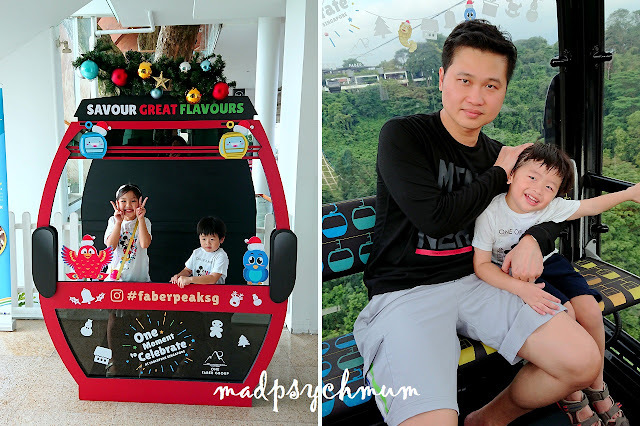 This is his 4th time on the cable car because we got the Faber License Membership (which gives us unlimited cable car rides), yet he is still just as excited! Super excited to ride the cable car again!